Today is Veterans Day, a time to honor and publicly acknowledge those who bravely served in the Armed Forces. In keeping with this tradition, Long Island Crisis Center wanted to take a moment to spread the word about a serious issue faced by many in the military and many who are returning home from service: Post-Traumatic Stress Disorder or PTSD. With over 3 million new cases in the US each year, PTSD is characterized by a persistent “fight or flight” response following physical harm or the threat of physical harm – like that of combat. While this type of “fight or flight” response is common on the battlefield, those living with PTSD can continue to experience this fear response in their civilian lives – even after the threat of harm no longer exists. While PTSD can cause much distress for the individual, it’s important to understand that this common condition can be treated and managed – but, the first step is knowing to ask for help. 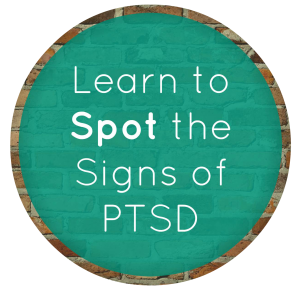 In order to stay better informed, we want everyone to know and recognize the signs of PTSD. Re-experiencing past traumatic events, in the form of flashbacks, troubling dreams, etc. Need to Talk? Worried About a Friend? 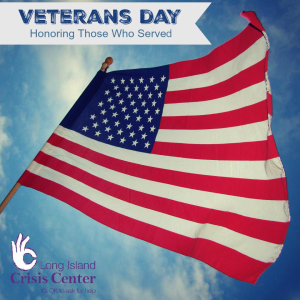 Want to learn how Long Island Crisis Center serves Veterans year-round? Click here to learn more about our Saving Our Long Island Veterans Initiative.